I hope this finds you and your family experiencing a great week in Lovejoy. It was nice to see so many of you at the Fine Arts Festival this past weekend. The Fine Arts Festival is always one of my favorite events, and this year was no exception. 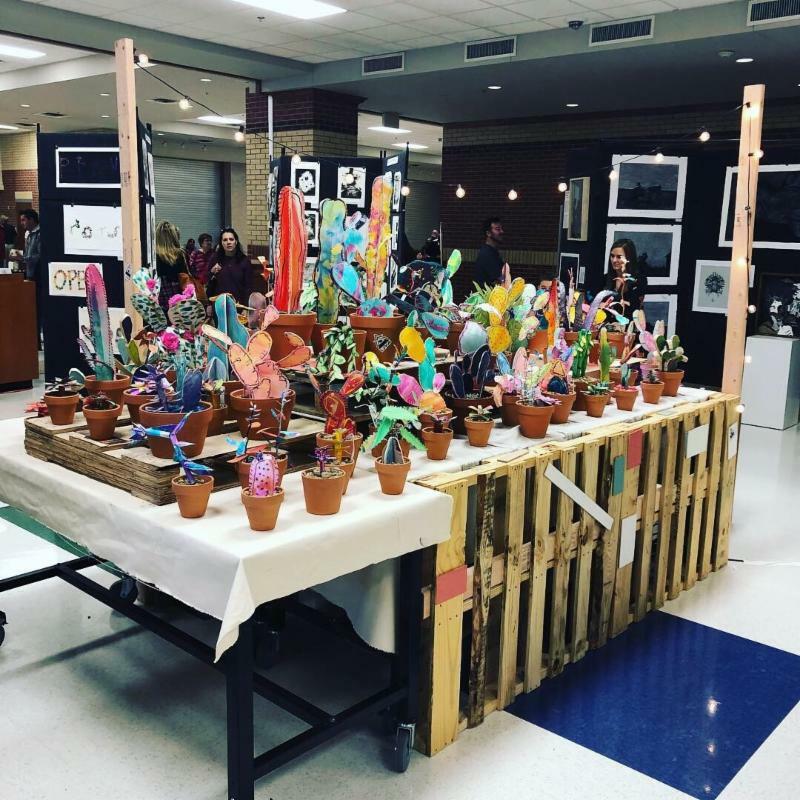 The talents of your students showcased in both the performing and visual arts was extraordinary. Congratulations to the students and staff members on an exemplary Festival. Lovejoy High School’s award-winning online news publication, The Red Ledger , is one of just 18 high schools to be named a 2019 Digital Crown Finalist from the Columbia Scholastic Press Association (CSPA). The CSPA Crown award is one of the top honors a publication staff can receive nationally. The Red Ledger will be honored and receive either a Silver or Gold Crown at the CSPA National Convention awards ceremony in March at Columbia University in New York. The Red Ledger previously won Gold Crowns in 2015 and 2017, along with Silver Crowns in 2014 and 2016. Click here for additional information regarding this prestigious award. The Lovejoy High School Band competed at the Texas Music Educators Association (TMEA) Region 25 All-Region band auditions this past weekend. Eights students will continue on to the Area Band competition in January. 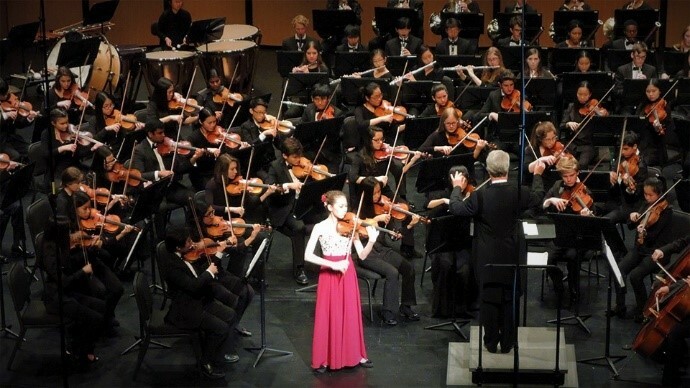 Each year, the Greater Dallas Youth Orchestra (GDYO) offers concerto competitions for four of the ensembles. 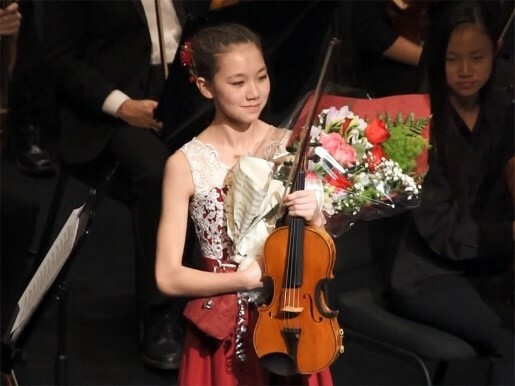 These competitions cultivate solo performances, encourage personal excellence, and acknowledge the high degree of talent and hard work exhibited by the musicians in this organization. WSMS 8th grade student Ayana Dalley was named the winner of this concerto competition and performed Symphonie Espagnole (movement 1) by Lalo with the Philharmonic Orchestra of the GDYO. She performed this piece on Sunday, November 11. Ayana was born in Wales, UK and moved to Dallas when she was one year old. She began studying violin at the age of 5 with Yukako Jones and currently studies with Jina Lee-Aleman and Lucas Aleman. A member of the local orchestras since she was 8, this season she is a member of the GDYO. At Willow Springs Middle School Ayana is concert master of the Chamber Orchestra. When she is not playing her violin, Ayana is passionate about ballet. She has been a student at the Ballet Academy of Texas in Coppell for 8 years and is currently an apprentice with the Ballet Ensemble of Texas, their official company. Lovejoy Athlete Nominated for VYPE DFW Offensive Player of the Year - Vote Now! 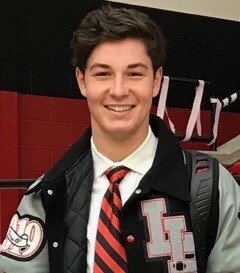 Lovejoy High School Senior Carson Collins is nominated for the 2018 VYPE DFW Offensive Player of the Year. Voting is open now through Sunday, December 9 at 5:00 PM. Click here to cast your vote. The winner of the poll will be featured on the VYPE Website. 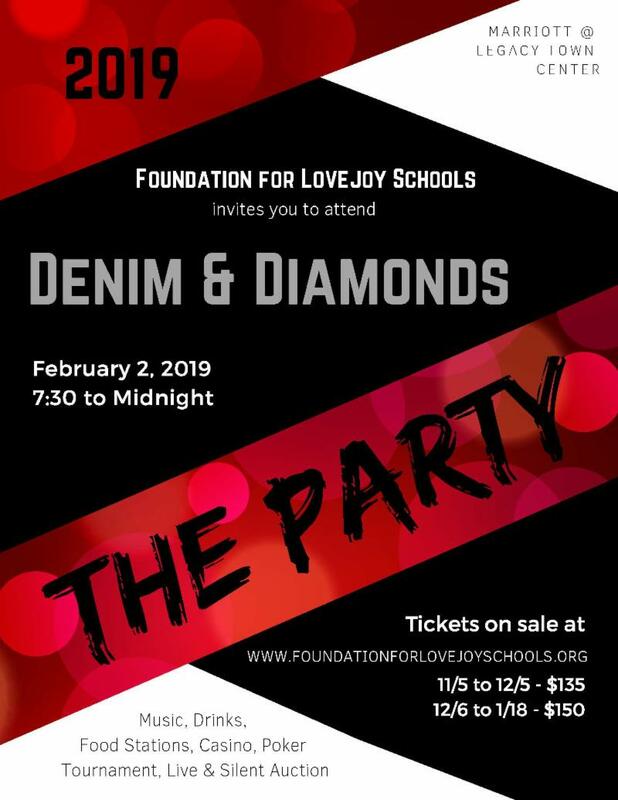 We need your help to make this year’s Denim and Diamonds the best yet. How can you help? Sponsor – the goal is to raise $100,000 in sponsorships. There are many levels available. Click here for options and/or contact The Party Chairperson, Kelli Litchenburg for additional information. 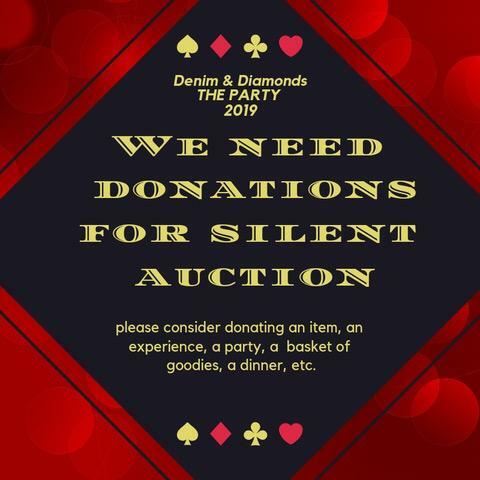 Donate – trips, parties, and fun items are needed for the silent and live auctions. Click here for the donation form. Please note – the donation deadline has been extended. Purchase Tickets – Tickets are on sale now for $135 and will increase to $150 tomorrow. Click here to buy your tickets today! $9,600 is needed to close the gap toward the 2018 goal of $200,000. Now is the time to make your year-end tax-deductible gift, which will impact the education of every Lovejoy student. You may click here to donate. Click here to see a list of companies that match donations and check with your HR Department for Employee Portal to determine how to submit your matching gift request. Around 80 Lovejoy men participated in the Foundation’s annual Tailgate Tournament. 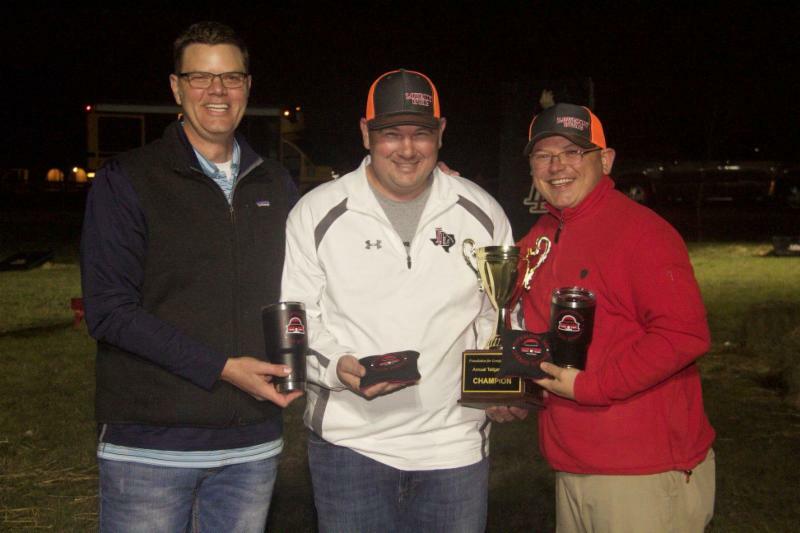 Congratulations to the 2018 Tailgate Champions: Brad Havens and James Miller, team Lovejoy HVAC. The tournament generated approximately $8,000 for the Foundation. Thank you to John and Kris Dunaway for hosting the event and thank you to event sponsors Renfrow-Dunaway Group, Fable Security, Lee Lewis Construction, Lovejoy HVAC, Chick-fil-A Twin Creeks and Stacy Road. Leave a lasting legacy for someone you love by placing an engraved brick in the Lovejoy High School courtyard. Bricks are $100 and may be ordered here . Lovejoy ISD is focused on generating new sources of revenue to offset our loss of state funding. Our goal is to protect our programs and avoid charging fees for items such as riding the bus. If you have a need for any of the following services, you can help generate revenue for the district by choosing members of the Circle of Partners . 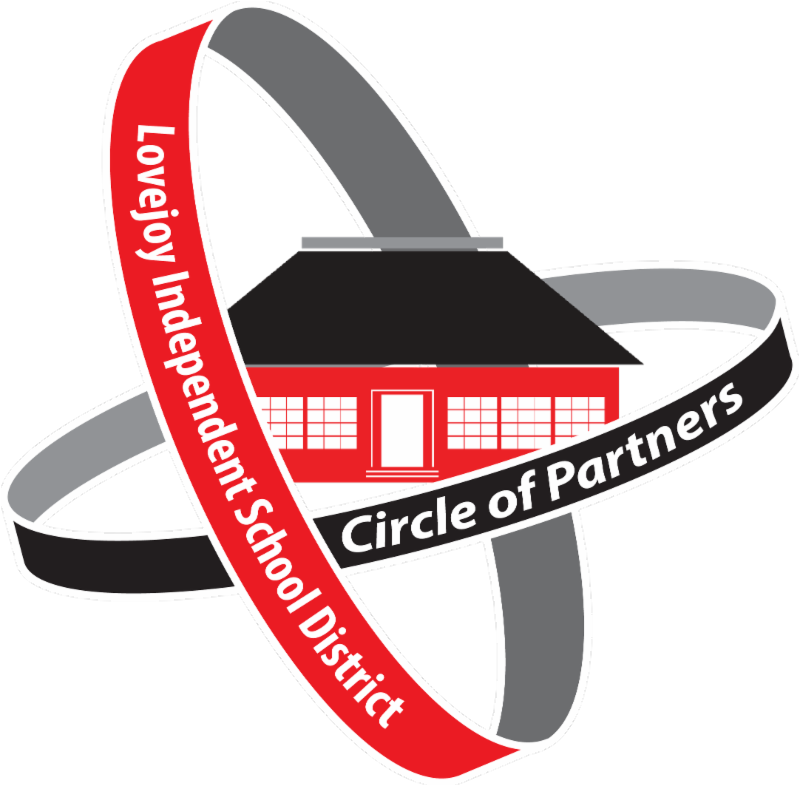 Our partners have pledged a charitable give-back (10% or more) to Lovejoy ISD for any business within the district. Reinhard Real Estate pledges 10% of gross commission to several non-profits including Lovejoy ISD. 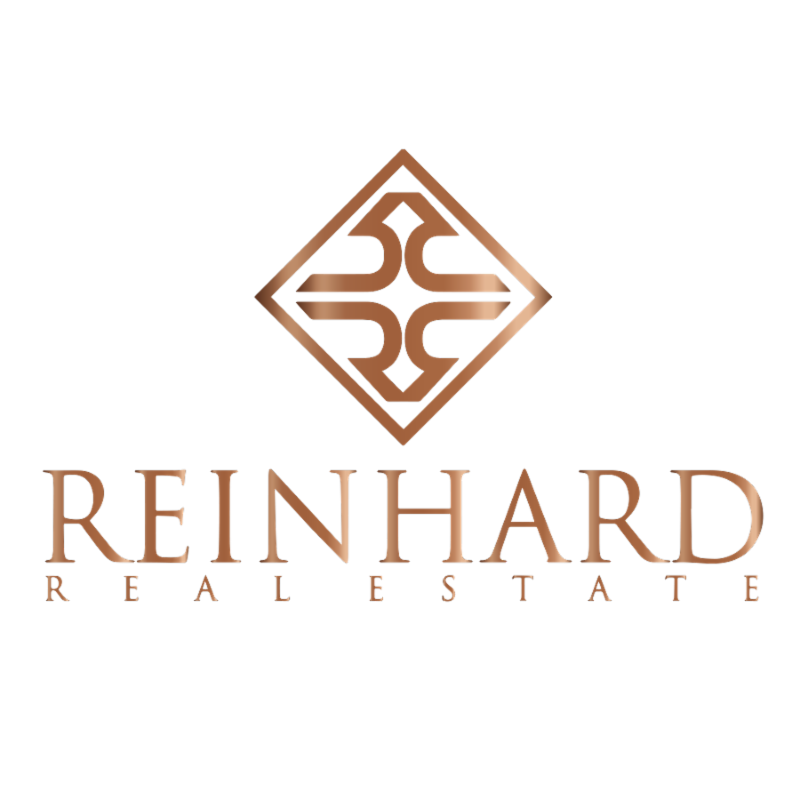 Their website can be found at Reinhard Real Estate . Jeff and Terri Reinhard own Reinhard Real Estate . They are proud Puster parents to fourth grader Ben, and second grader Max. The Cave Realty Team ( www.CaveRealty.com ) pledges 15% of gross commission on homes they help sell or buy within Lovejoy ISD. Team owners Ryan and Sarah Cave are proud parents of Lovejoy Elementary School first grader Adelaide (Addie), with 5-year-old Anders soon to follow. Savvy Realty pledges 10% of gross commissions on all closings within Lovejoy ISD combined with a fixed fee program which saves their home-sellers thousands of dollars. Check out SavvyRealtyLovejoy.com for details. Company founders Jeff and Sharon Kofahl are proud parents of Lovejoy High School Juniors Bradley and Brandon and Willow Springs 7th grader, Brady. 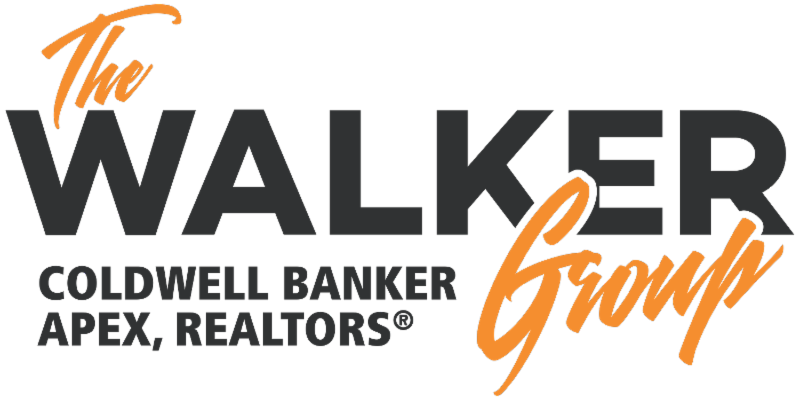 The Walker Group Coldwell Banker APEX, Realtors pledges 10% of gross commission on homes they help sell or buy within Lovejoy ISD. Tonya Walker lives in Lovejoy ISD and specializes in this area. She and her team are excited to partner with Lovejoy ISD. Tonya’s website may be found here . For your landscaping needs we hope you will consider Accent Landscape Management . 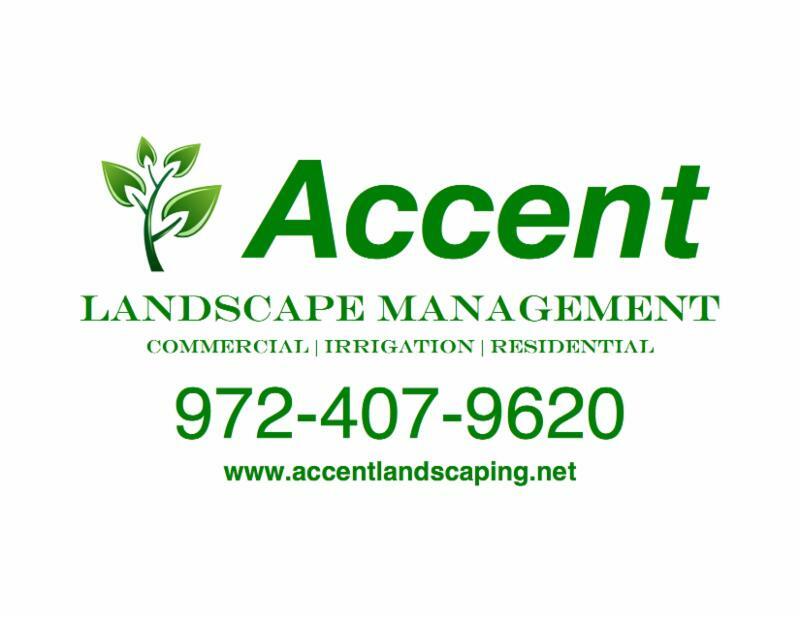 Accent Landscape Management pledges 10% of gross revenues on work performed within Lovejoy ISD. Accent provides landscaping, irrigation and lawn maintenance services for commercial and residential properties. Their website may be found at Accent Landscape Management . Owners, Phillip and April Sheppard, are proud Hart parents of second grader, Kaiser, and Kindergartener, Sebastian, with two-year-old Charlotte soon to follow. 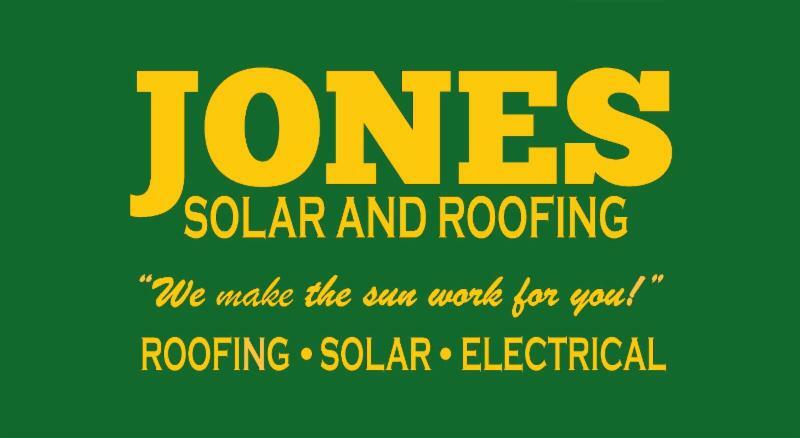 For your roofing and solar work, we hope you will consider Jones Solar Roofing . Chadd Jones of Jones Solar and Roofing is pledging 10% of their profits on roofing and solar work completed in the Lovejoy ISD. Jones Solar and Roofing provides free inspections of your residential or commercial roof and property. They also offer free estimates on Solar/ Battery and Energy Efficiency upgrades to your home or business. Their website is: https://jonessolar.com/ or you may reach them by phone at 214.412.7444 for residential or commercial properties. Members of his family have been supporters of the Lovejoy ISD since 1979. Chadd and Liesl Thompson Jones are the proud parents of Puster Elementary 1st grader Maxwell. 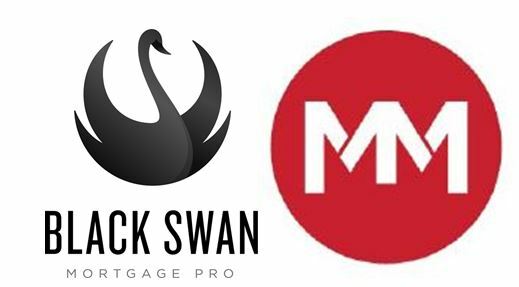 For your mortgage needs we hope you will consider Black Swan Mortgage Pro . Stephanie Cigainero, owner of Black Swan Mortgage Pro is pledging 10% of her pay on Circle of Partners transactions, which will be matched by her employer Movement Mortgage . Stephanie has been in the home loan mortgage business since 2006 and may be reached at 469.531.0257 or at https://movement.com/lo/stephanie-cigainero/ . She is married to her best friend and Australian native, Josh. They have two daughters, Aspen a 5th grader at Sloan Creek and Maia. They are a host family to foreign exchange student Alessia Bellometti. Tutoring 101 and Lovejoy ISD have formed a revenue generating/sharing partnership to bring their services to Lovejoy families. Please see below for several offerings. Private tutoring is available for students in grades K-12 in all subjects. 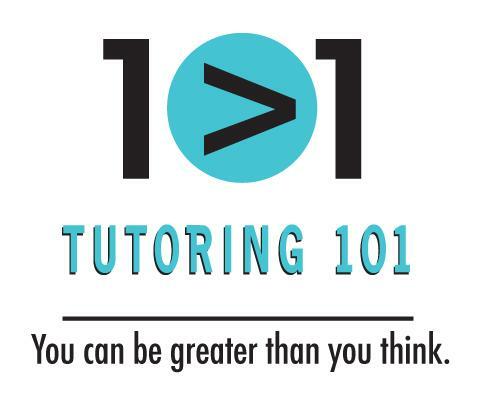 Tutoring 101 recommends once a week tutoring for an hour to increase grades and learn subject matter more deeply. A once a week appointment usually results in an increase of 1 letter grade or more. Turn those C's into B's. What's your SAT/ACT score? Want a better one? What do you need it to be? For detailed information regarding the topics shown below. This section of Email Express highlights news reports/articles featuring Lovejoy over the previous week. For detailed information regarding all topics shown below. The LHS School Store will be open from 6:00 – 8:00 PM on Wednesday, December 12. 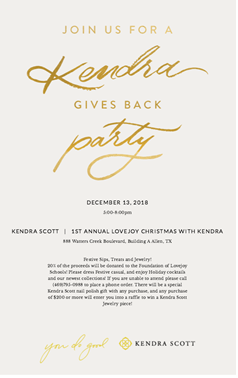 We hope you will join us for the special shopping event. Lovejoy Lacrosse has a girls' high school lacrosse team and are looking for some Lady Leopards to join the team. The team will begin their spring season in January as part of the Texas Girls High School Lacrosse League. Our K – 12 tuition-based enrollment program is a great opportunity for families who live outside of our district boundaries, but want their children to experience a Lovejoy education. Will you help us share the news? 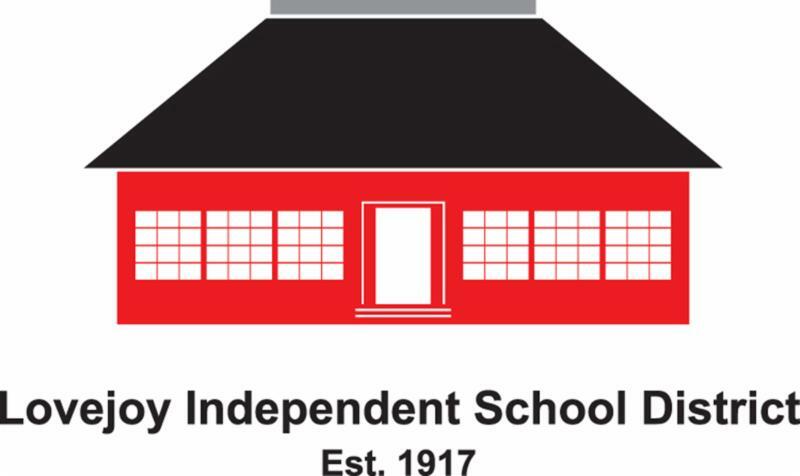 Lovejoy ISD is accepting applications for tuition-based Pre-Kindergarten. 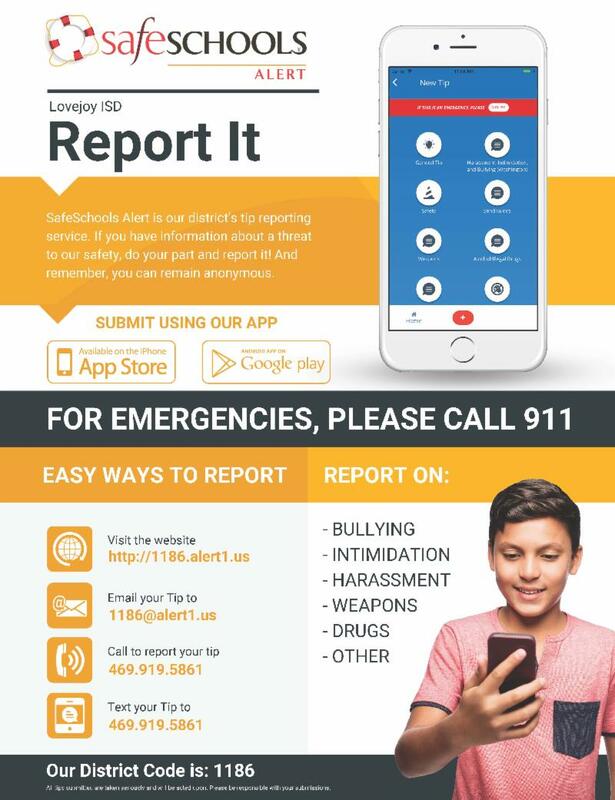 SafeSchools has launched their new mobile application for anonymous reporting. You may click here for the SafeSchools Alert Mobile Application Download Instructions. Lovejoy mom, Tracy Sutherlin, is asking for your help in raising money to support the Leukemia Lymphoma Society Team in Training. The Heckman Family, with students at Puster Elementary and Sloan Creek Intermediate, is requesting your assistance in providing stuffed stockings to a military intelligence unit deployed in the Middle East. LHS Senior Amanda Gibson is asking for your help with her Senior Project. Invest in a PSAT/SAT/ACT Prep program not just a class. We've helped high scorers get top scores, average students raise their scores, and poor test takers achieve the scores that colleges want. Lovejoy High School is offering an exciting new Entrepreneurship course – INCubatoredu and we need your help. 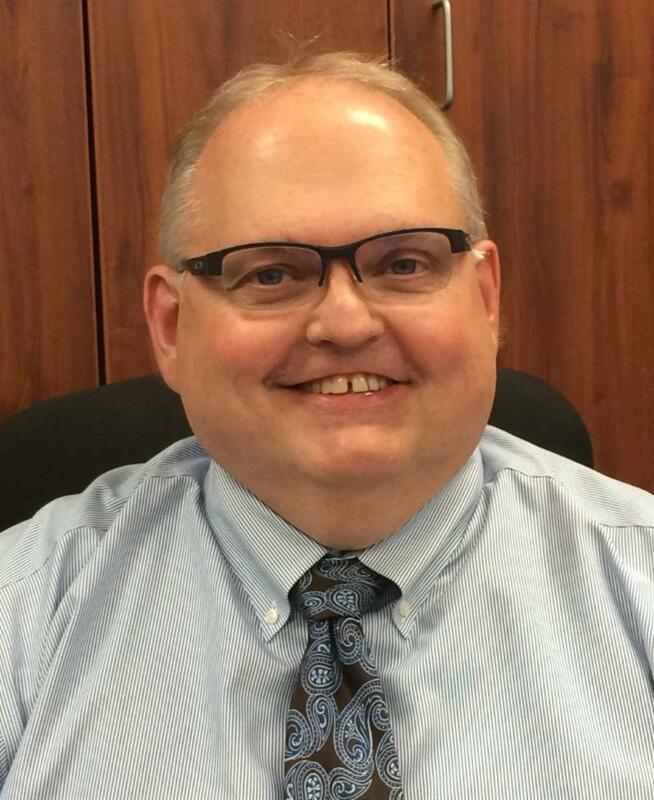 Are you following the Superintendent on Twitter? Are you following the district on Twitter ? Have you liked us on Facebook ? Join us on social media for news and announcements. If you would like to provide us with accomplishments of a Lovejoy graduate, please click here . We will share this information in the “Where Are They Now?” section of Email Express. It is a pleasure to report the successes of Lovejoy graduates during their college years and beyond. As always, please feel free to contact me with questions or concerns.